As the shock of comedienne Joan Rivers’ death continues to swirl, a new conversation has begun to take a prominent place in the conversation: Was Rivers the victim of medical malpractice? Speculation about what happened in New York City’s Yorkville Endoscopy Clinic is all over the map with the media, the public and attorneys weighing in with theories. What is known for sure is that Rivers checked into the Yorkville Clinic for what is being described as a minor procedure on her throat. There she suffered cardiac arrest, stopped breathing and was transferred to Mount Sinai Hospital. After a week in a medically-induced coma she died. 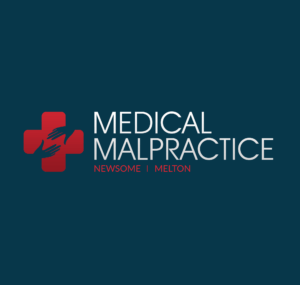 Rumblings about a possible medical malpractice suit are buzzing from sites as diverse as CNN, The New York Times and Hollywood Reporter.com. Investigations of the clinic and the Rivers procedure are reportedly under way by both the New York State Department of Health and the New York Police Department. A health department investigation normally focuses on whether there was any malpractice by the doctors performing the procedure or other members of the staff. Rivers’ daughter Melissa said recently that she believes if her mother had checked into a hospital for her procedure she would have cruised through it without incident. Melissa Rivers also said her mother had visited her cardiologist in advance of the procedure and was given a green light. According to a CNN report, an autopsy on the comic star failed to conclusively pinpoint what killed her. The medical examiner’s office said through a spokesman that more studies will be needed to determine a cause of death. Unknown at the time of the autopsy is just how long Rivers’ brain was deprived of oxygen before she got to the hospital. Some have been speculating that Rivers could have been given either an inappropriate anesthetic prior to the operation or that the dose was too big for someone of her diminutive stature. More powerful anesthesia drugs like Propofol one of the side effects is slowed breathing and taken to the extreme, that can cause cardiac arrest. While no one has released exactly what procedure Rivers had. Just the fact that it was in an endoscopy means it likely was something to do with the throat or GI tract. Speaking on the CNN website, Dr. Joel Zivot of Emory University said that sometimes patients these procedures so doctors can evaluate their vocal cords. He noted that endoscopy is normally done under general anesthetic. Vocal cord surgery is difficult because a tube that would normally help someone breathe during such a procedure couldn’t go across the vocal cords. To tolerate that kind of evaluation, Zivot said, someone would need to be in a deep unconscious state. Heather Hansen, a Pennsylvania attorney who frequently defends medical professionals in malpractice suits agrees that there is too little information to pinpoint what went wrong for Rivers. “At this point, there is not enough available information to accuse Joan Rivers’ doctors of malpractice, but when the evidence is examined in the coming weeks, the debate will focus on the formal legal definition of negligence,” she says. Hansen adds that questions regarding the Rivers case will range from whether she should have been cleared for surgery at all, given her age and condition, to whether the surgery should have been performed at a clinic or hospital, to whether the proper anesthetic was used. The biggest issue in a case such as this, involving clinics or surgical facilities outside a formal hospital, center on the matter of “response” – that is, did the facility’s personnel respond properly to signs of medical distress? Did they take necessary actions rooted in best practices? Did they call an ambulance when appropriate, or did they freeze, or – even worse – stall as a way to avert embarrassment? Ultimately, Hansen says, the case will hinge on which medical experts make the most compelling case on the stand, should the case wind up in court. She points to a 2008 case in which a girl died after having liposuction at an outpatient clinic. A jury awarded the girl’s family $20.5 million in that case. “If a jury finds that negligence existed in the Rivers case, damages could be just as high given that the legendary comedienne was still working, remained in high demand and had plans to continue performing,” Hansen says. An article in The Legal Examiner points out differences between hospitals and outpatient facilities like Yorkville. Can Patients Sue For Injuries From Eye Surgery?